The children at Williamstown North Primary School were excited to receive a generous donation from Abel SPorts yesterday. 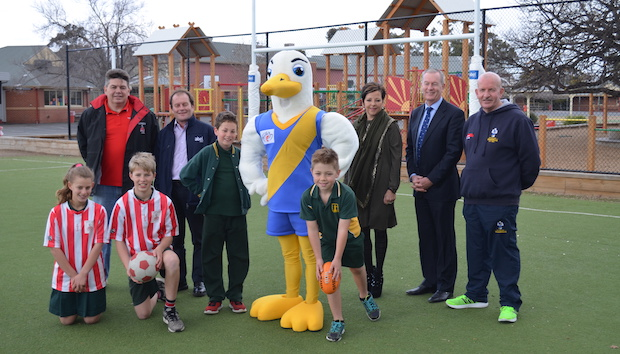 A brand new Abel soccer goal and a set of Abel AFL goal posts for Barnstoneworth Junior Football Club and Williamstown Football Club were brought to the school on Tuesday to much delight. Abel were pleased to pitch in with the donation of equipment and materials. School principal Jim Cahill was thrilled by the success of the joint community project; praising the volunteers, football clubs and Abel for their contribution.